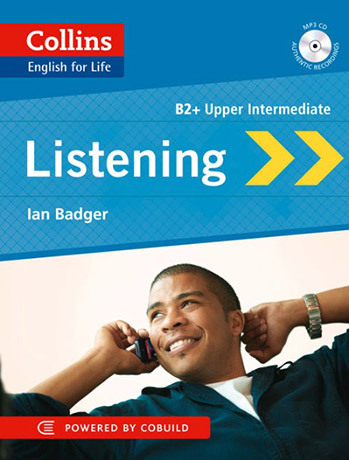 Improve your listening with a new skills book from Collins, for upper-intermediate (B2) learners of English. English in the real world is constantly evolving, and learners need to move with it. But sometimes the English you can learn from your coursebook just isn’t enough for real life. Being able to understand English as it is really spoken will give you the confidence to succeed in any English-speaking environment. Using a wide range of authentic, unscripted recordings of everyday people from around the world, Collins Listening (B2) will help you to feel confident and prepared for anything. What is it? Collins’ innovative English for Life series adds the extra bit of authenticity to your studies that traditional coursebooks often lack. The series includes helpful up-to-date and relevant topics needed to get by in English and uses authentic material from the Collins Corpus, the world’s largest database of the English language.